Well, the good news is, the young girl in that video, also known as Emmanuella has been awarded the Best New Comedienne and the Princess of Comedy, by the Afro-Australian Music and Movie Awards. The AAMMA AWARDS was established by Scrim Entertainment (owned by Daniel Okoduwa) to celebrate the rich culture of African art and entertainment in Australia. The six-year old, whose talent was discovered by her uncle is said to be the youngest recipient of the award. 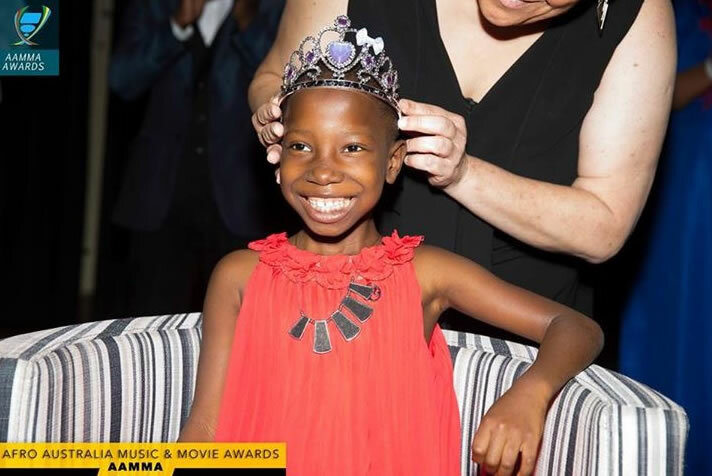 Emmanuella’s talent was described as phenomenal by organisers of the event, which held in Sydney, Australia. Other recipients in the past include Hollywood icon Vivica A Fox, Ramsey Nouah, Desmond Elliot, Tuface Idibia, John Dumelo, amongst others.